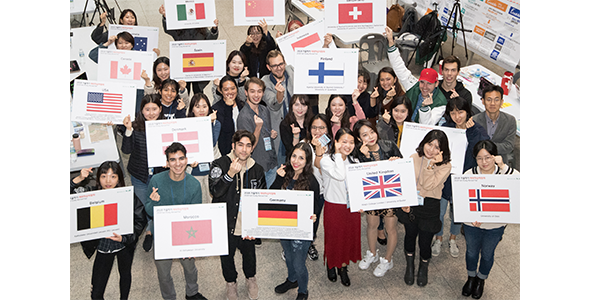 The Office of International Affairs (Vice President : Won Mog Choi) held '2018 Fall Study Abroad Fair' at a lobby on the first floor in the Student Union on Thursday, November 8, 2018, with support from the ACE project with an aim to attract attention on study abroad programs from Ewha students. Started in 2015, the Study Abroad Fair has been held every semester in order not only to introduce Ewha’s study abroad programs but also to boost exchanges between Ewha students and international students in exchange and visiting programs. 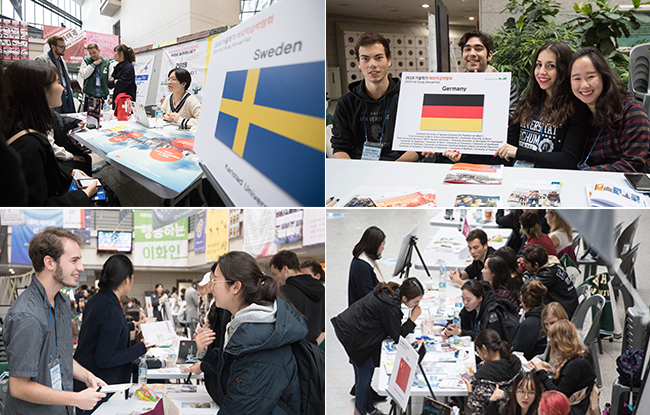 A total of 84 students containing 43 Ewha students with experience of studying at foreign universities and 41 foreign students attended in the Fair, and ran a consultation booth as representatives of 62 universities around 21 countries, providing various information including overseas school life and culture of each country. In addition, the person in charge of the exchange student program ran a booth to give advice on exchange student programs for Ewha students and satisfied students’ curiosity. Ewha provides various study abroad opportunities that students could foster global competitiveness. In the second semester of 2018, about 400 foreign students are studying at Ewha through exchange/visiting programs, and over 420 Ewha students are being sent to foreign universities through various programs.